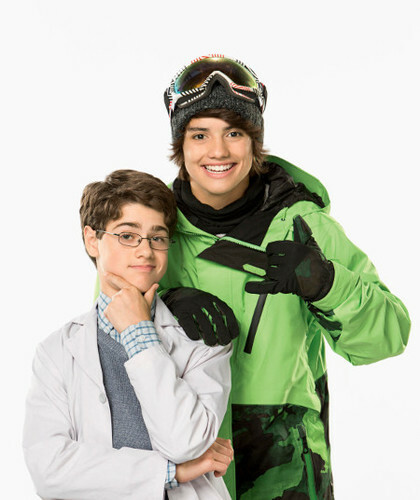 “Max & Shred" chronicles the unlikely friendship between celebrity snowboarder Max Asher and science whiz-kid Alvin “Shred” Ackerman who become roommates when Max moves to Colorado to train for the Winter Cup. Jonny Gray stars as Max Asher, a superstar teen snowboarder who finds an unlikely best in a younger science nerd. Find out more in his Kidzworld Interview! Kidzworld: How did you first break into acting? Jonny: It's kind of a long story, I entered a contest to be a reporter on elephants in Thailand, and I entered a video saying why they should pick me, and I won, and while I was there they said you're really good in front of the camera and with adult people and I didn't think much of it but eventually I told my mom I wanted to try it. Kidzworld: It was just your birthday, so happy birthday! Jonny: It was! Thank you very much! 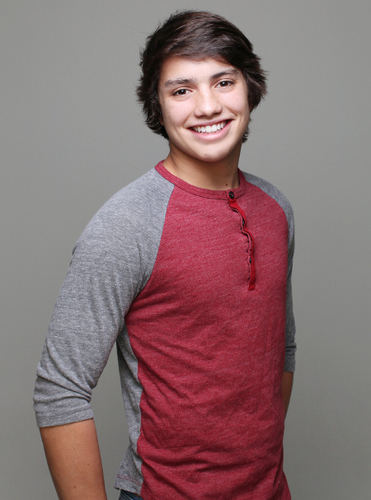 Kidzworld: So let's talk about your character on the show, Max, what do you have in common with him? Jonny: I think we're both high-energy people and kind people, and also in the athletic department, he's a snowboarder and I've been snowboarder for 7 years, and he's also a really funny person, he's got a weird sense of humor and I do as well - I actually have these things that Jake [Goodman] calls my Max Asher moments where I say something totaly dumb in totally dull moment. Kidzworld: It sounds like you have a lot in common, the way the show is set up you're this "cool guy" coming on to the scene, is it natural to you to play that kind of character? Jonny: Yeah, he's a simple and down to earth guy, so I didn't find it weird cause I've never had problems fitting in or anything, when I went to high school I had two older brothers there already, so I already knew people. It's an amazing character, I love it. 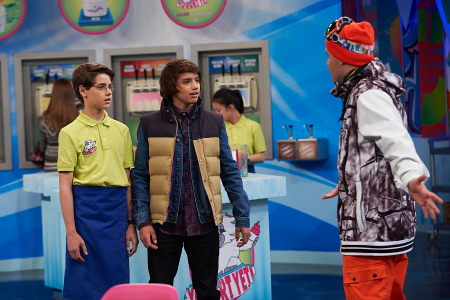 Kidzworld: What's the best part about working with Jake Goodman? Jonny: I think the best part if all the off scenes - he's a phenomenal actor, and does a great job, but he's like a little brother to me know. I was always the little brother, and now it's like I have a little brother. I love him to death. Kidzworld: So if you can't pick Max and Shred, what are some of your favorite TV shows? Jonny: I just started watching a show called Mr. D, and honestly it's one of the funniest shows I've ever watched, and I recently worked with one of the ladies on the show, and I watch some House of Cards, and the classics like Family Guy...I watch a lot of comedies. Kidzworld: What would happen in your dream episode of Max and Shred? Jonny: I think a dream episode would be like having a really cool guest character, some really famous person where Jake and I could be like "Oh hey man, what's going on" really casually. It could be an amazing moment - maybe someone like Sean White, that would really fit in, I snowboard so it would be an honor to meet him. Kidzworld: What is something most people don't know about you? Jonny: Most people don't know is that I'm academically I 'm pretty successful, I really love school. Math is easily my favorite subject, I really love science, I did really well in it last semester. Kidzworld: Whoa, so maybe you should be playing Shred? Jonny: Haha, I don't know about that! What do you think of Max & Shred? Let us know in the comments section below. I've tried it a couple of times. No, but I'd like to some day.